Expanded Mesh is made in a variety of profiles/patterns, panel sizes and shapes in black or galvanised steel, aluminium or stainless steel. It is the actual manufacturing process where the metal is cut and mechanically expanded into a diamond pattern mesh sheet that means no metal is lost, and the final sheets remain strong and easy to work with. Looking for ideal Expand Building Facade is Introduced Manufacturer & supplier ? We have a wide selection at great prices to help you get creative. 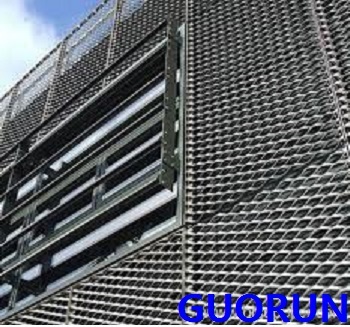 All the Expanded Metal Mesh Factory is Introduced are quality guaranteed. We are China Origin Factory of Expanded Metal Mesh Spraying. If you have any question, please feel free to contact us.